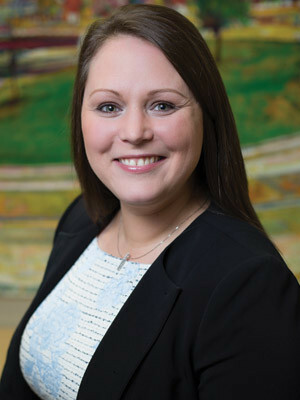 Ashley Mosley has lived in central Arkansas for 14 years, the same amount of time that she has been in the insurance industry. Originally from Des Moines, Iowa, she has been married to her husband, Jesse, for almost two years. Ashley held several different positions before becoming an agent, and says the experience and knowledge she gained allows her to better serve her clients. She believes in outstanding customer service and vows to inspire and educate her clients and problem-solve all of their needs. Ashley has two stepchildren, including 18-year-old stepson Tyler and 14-year-old stepdaughter Taylor. She also has a 13-year-old son, Andy. What lines of insurance do you write? I specialize in both group and individual insurance – health, dental, vision, life, disability, long-term care and Medicare supplement plans. What type of coverage do consumers often forget? Consumers often forget to purchase disability insurance, whether that means short-term or long-term disability. In today’s world of medical technology, the likelihood of someone surviving a medical condition or illness and being disabled is higher than simply passing away from that same medical condition or illness. This is why everyone needs income protection, or, in other words, a disability policy. What are the most important factors in choosing life insurance? When choosing a life insurance company, a consumer should consider the financial standing of the company, how long they have been in business and what products they offer to see if they fit the needs of the client. Who is your mentor? I have had several mentors in my life, including my parents and family, current and former bosses and co-workers, and friends that have all inspired me in different ways. ■ If you all of a sudden found yourself with an entire day off and nothing scheduled, how would you spend it? I am a night owl, so to start off my day with nothing to do I would most likely indulge by sleeping in. Then off for lunch with family and friends and just hanging out. I’d end the day by cooking dinner at home for my family.